The All Africa Music Awards received 4,816 entries from African music artists and professionals for the 2017 edition of the awards at the close of the two-month entry submission process on Monday. The AFRIMA International Advisor and a member of the International Committee, Mr Rikki Stein, said this in a statement in Lagos on Thursday. He stated that the African Union and the International Committee of AFRIMA opened the 2017 AFRIMA call for entries on May 8. Stein disclosed information about the screening and adjudication processes of the entries that would hold from July 18 to July 28 and Aug. 2 to Aug. 8. He said the 13-man AFRIMA Jury would review the entries to determine the works of African talents that were adjudged on merit to be on the AFRIMA 2017 Nominees list. According to him, AFRIMA 2017 is scheduled to hold from Nov. 9 to Nov. 12 with a live broadcast to 84 countries across the world. Stein said it was a period of opportunity for African music artists, record producers, songwriters, video directors and music journalists to enter their qualified works on the AFRIMA website. 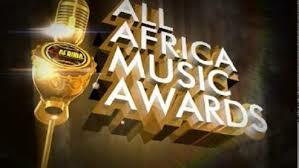 Stein gave the website as www.afrima.org and the awards social media platforms. He said the response was overwhelming, adding that 4,916 entries were received for2017 higher than 2,714 entries received in 2016. According to him, this is a 77.25 percentage increase over last year’s entries. “Analysis reveals Eastern Africa regions recorded the highest entries with 47 per cent of the total entries, followed by Western Africa with 30 per cent of the entries. “This progress is a positive marker and it has elicited satisfaction from the African Union, the International Committee of AFRIMA as well as the Regional and Country Directors of AFRIMA. “This is tremendous news, indicative of an increasingly healthy music industry across Africa, particularly from a creative perspective. “AFRIMA is plugged into the aspirations of the African continent, providing a platform for excellence in music, a source of inspiration and encouragement for its associated fields of endeavour,’’ the advisor said. According to him, African artists are making marks globally, acting as good ambassadors of their countries and their culture and turning the world toward Africa as the source of entertainment.